A study on optimising social media amplification and measuring word of mouth marketing in events. How do you encourage your registrants, exhibitors, stand staff and speakers to tell their networks that they will be at your event in order to increase your registrations? 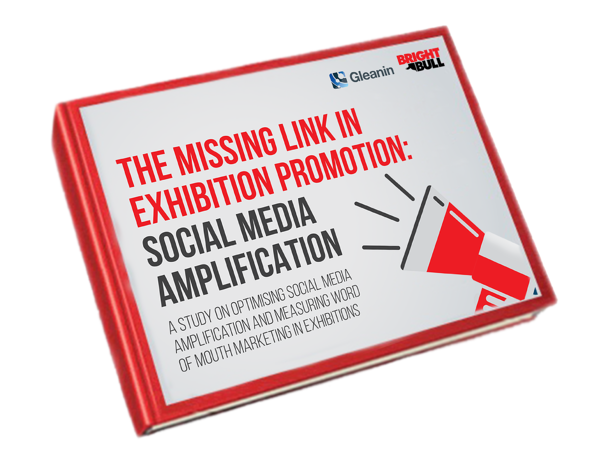 This is a collaborative study between Brightbull and GleanIn looking into the potential of social amplification for Exhibitions. The figures presented in this study come from looking at the social networks of 24k exhibitors, 5k speakers and 43k registrants. Event businesses are missing out on the potential to extend their message to their stakeholders social networks, so download a copy of the study now.